8 and 17 Seater minibuses and 24 and 36 passenger coaches. We operate an extensive range of Minibuses from 8 to 17 seater and coaches able to take up to 24 or 36 passengers! Our Luxury Executive Minibuses are custom built to ensure that you travel with us in style, whether it is for business or pleasure we want to give you the best we can. For your security and confidence, our Luxury Minibuses are provided to you with a driver and are coaches are full licensed and insured up to £10,000,000 liability. Our drivers ensure that we are always on time without fail and always guarantee to get to your destination on time, in safety and comfort. If you are looking to book a Minibus/Coach hire with driver, then look no further! AA travels takes the hassle out of group transport. For smaller groups of up to 8 passengers, we have several models of vehicles that will suit your needs and requirements. Keep the cost down and get there quicker in one of our executive 8 seater luxury minibuses. Vehicles include, VW Transporter and Mercedes Vitos. These passenger vehicles are great for shopping trips, corporate events, tours, special social and sporting events. Our Luxury Mini-coaches are available for hire with a professional smart chauffeur for any occasion including weddings, parties and corporate events. Our Mercedes Sprinter executive minibuses come with leather trim, air con, DVD player, privacy panoramic glass, karaoke machine and and many other extras. This is the perfect corporate hire vehicle to help you arrive at your event in style and comfort. This size of coach is perfect for larger groups and parties such as wedding parties, employee teams, football teams or stag and hen parties. You can use this coach for large wedding parties, creating happy memories while we ensure your transportation to multiple locations. Our buses are routinely inspected for maintenance and repairs and come with 3 point seatbelts for added safety. AA Travels standard and luxury minibus hire services are varied but the jobs we do most often are shown below. 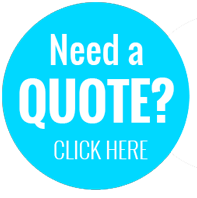 If there is anything you need that is not shown below just give us a call and we will be happy to help and provide you with a reasonable quote for your requirements. Why Choose AA Travel as your service provider?